We are pleased to announce that our Peterculter surgery has been up and running since 3 January 2019. Our opening hours there are 8.00am – 7.00pm Monday-Friday and 8.00am-12 Noon on Saturdays where we are happy to receive visits from all clients, both old and new, even if it is just to pop in to say, “Hello”. 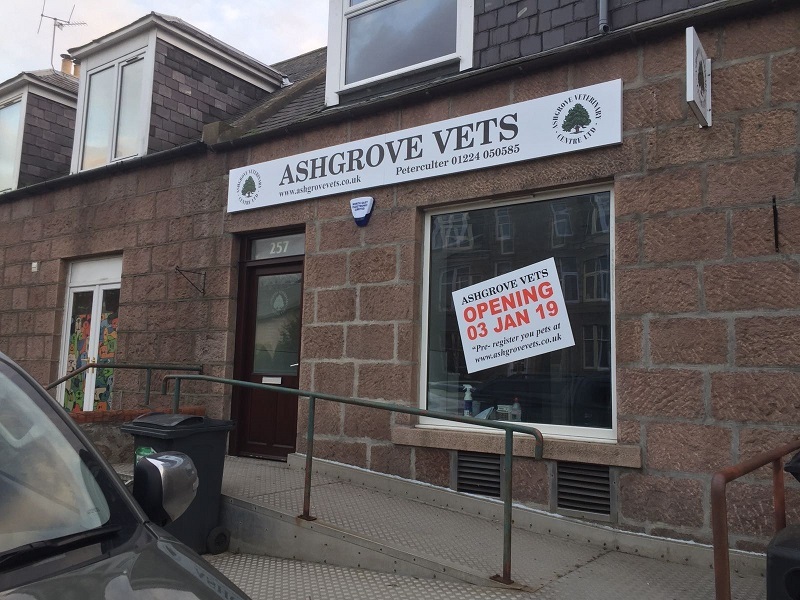 To book an appointment with us at Peterculter, please contact us on 01224 050585 or alternatively you can contact us via our website of www.ashgrovevets.co.uk.